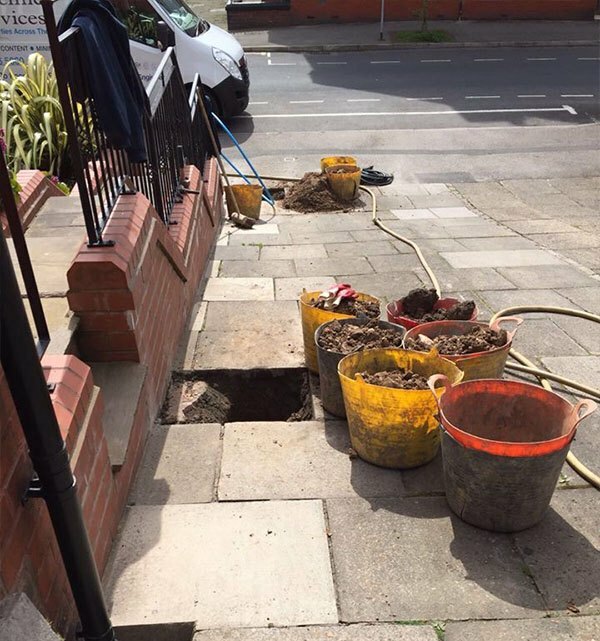 If your property has a lead supply pipe you should consider investing in a replacement service, as water contamination can occur and may lead to health risks for anyone using water in the home. When water is left standing in these pipes microscopic particles of lead can dissolve into the water and although treated by the water companies to reduce the concentrations, cannot be eliminated entirely. Does my property have a lead supply pipe? Before 1970 most water pipes were made from lead and this included both supply pipes and communication pipes. 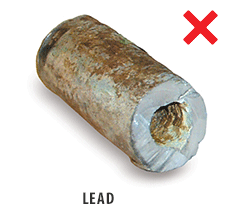 Whilst it has been more than four decades since lead was used for this purpose there are still many older properties where it remains possible that the underground service pipe between the boundary and the kitchen tap may be lead. To determine whether you have lead water pipes there are a number of checks you can carry out. We recommend that you start by inspecting the pipes that are under the kitchen sink and that which rises up to the internal stop tap. If your stop tap is not located in the kitchen you may find it is located in a cellar, downstairs toilet or perhaps a garage. Once you have identified the incoming supply you can conduct a simple scratch test to establish the material of the pipe using a coin or a key to carefully scrape the surface. If the pipe is lead it will be a dull grey colour on the outside and can be easily scratched to reveal shiny silver underneath and if tapped makes a dim sound. 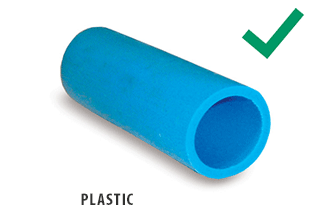 If possible it is important to check the pipe in a number of areas as you may find a mixture of different materials. Although some pipes may have been changed internally it is likely the incoming supply is still lead unless records of an upgrade state otherwise. If your property was built after 1970 it is unlikely that your service pipe will be lead.